is a city of 1.45 million people, the second largest municipality in Ukraine. Capital of Ukraine from 1921 to 1934, it remains a center of industry, culture, and higher edu-cation. Its industrial core is based on armaments and complex machinery, some of which has been sold in controversial arms deals to rogue states. Notwithstanding the relative sophistication of a portion of its economic base, however, the larger economy of Kharkiv and the surrounding area is floundering, a result of general Ukrainian economic conditions, poor governance, and a failure of local officials to embrace private business initiatives. Unemployment is high, and the general mood of Kharkiv residents appeared sour when the writer visited it in 2013 and both sour and nervous on her visit in March 2014. The nervousness derives from its location approximately 30 miles (48 km.) from the Russian border. The city is the administrative center of Kharkiv oblast, which shares a border with Russia on its north and with the troubled Ukrainian oblasts of Luhansk and Donetsk on its east and south. (It also borders on Dnipropetrovsk, Poltava, and Sumy oblasts.) According to individuals with whom the writer spoke, Russian "visitors" arrived in the city in March, milling about and, when asked, claimed to be tourists or students. In a city hosting more than 25 institutions of higher education, the latter claim may have seemed logical to the newcomers from the North. However, it soon became obvious that the professed students had little interest in conventional academic life. Equally, the tourists seemed to eschew normal tourist pursuits. A prominent professional in the Jewish community told the writer in late March that everything looks normal in the city on weekdays. In the evening, pro-Russian "young toughs" wearing facemasks and carrying "what looks like weapons" surge through the city in groups. They intimidate people and provoke incidents. On Friday nights, Saturdays, and Sundays, up to 11,000 people participate in pro-Russia demonstrations on Freedom Square. Threats and other "ugly" messages also are appearing on Facebook and other social media sites. The professional is certain that some pro-Russian agitators are paid with funds originating in Russia. Crime has increased in the city, continued the professional, because police are preoccupied with tracking Russian infiltrators and are unable to do normal police work. On March 2, a Russian "tourist" from Moscow managed to replace the Ukrainian flag on the Kharkiv regional administration building with a Russian flag. Five days later, he was joined by pro-Russian comrades who occupied the entire structure and declared independence from Ukraine as the Kharkiv People's Republic. The building was recaptured the following day by Ukrainian forces, but pro-Russian agitators entered it in force again in mid-April, only to be expelled by Ukrainian troops a short time later. Violent confrontations. most of which appear to have been instigated by pro-Russians, occurred over several weeks. 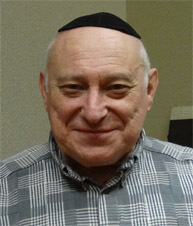 The Jewish mayor of Kharkiv, Hennady Kernes, was shot in the back while cycling on April 28. Gravely wounded, he recovered in an Israeli hospital and returned to Kharkiv on June 16. Although his assailants have not been publicly identified, some observers believe that they were sympathetic to Russia and intended to murder the mayor and subsequently destabilize the city and region. Pro-Russian agitators remain active in Kharkiv, staging demonstrations and confrontations. Ukrainian unity partisans respond with counter-demonstrations. However, no Russian combat forces have entered the area. 38. The Jewish population of Kharkiv probably is between 15,000 and 30,000 according to the Israeli Law of Return, although the writer has heard both higher and lower estimates. Jews are prominent in almost every sphere of Kharkiv life, including government, business and industry, science and technology, education, and culture; most Jews openly identify as Jews and are friendly to Jewish organizations. However, as is the case in most post-Soviet large cities, only a small number of local Jews appear to find any existing Jewish institutions of interest to them. Participation in Jewish activity is low. 39. Enrollment in the Chabad Jewish day school (School #170) in Kharkiv remains steady at approximately 300 pupils, said Grigory Shoichet, its longtime principal. However, he continued, he expects enrollment to decline significantly for the next (2014-2015) academic year. Many youngsters will emigrate to Israel, he said, some with their parents and some in high school programs, such as the Jewish Agency Na'aleh high school in Israel program. All of the violence in the city has generated great fear among kids and their parents; youngsters come to school by school bus, go home by school bus, and stay home throughout the weekends. They do not walk around their own neighborhoods. Kids talk about the Russia situation frequently. "No one wants Russia," he said. Russia is no less fascist than Ukraine, neither country likes Jews, stated Mr. Shoichet. Mr. Shoichet expressed confidence that the school will survive and continue through the current crisis and beyond, even though its enrollment will decline. He is certain that teachers will remain, if only because they will be unable to find employment elsewhere. School #170 ranks 37th among the more than 240 schools in the city, he said, achieving particularly high exam results in high school mathematics, physics, chemistry, and biology. It also has done well in Jewish studies competitions with other Jewish day schools. 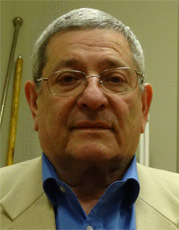 Grigory Shoichet, a veteran Jewish day school principal in the post-Soviet states, is well past normal retirement age. He presides over a school that enrolled 502 youngsters at its peak and now enrolls fewer than 300. Jewish demographic decline, dif-ficult school transportation, and inadequate financial support ex-plain the decreasing school census. Mr. Shoichet confirmed that four small museums continue to exist in the school - on Jews in Ukraine, the Holocaust, history of hasidism, and Jewish women. Each museum occupies a classroom made vacant by declining enrollment. The greatest need of the school now, said Mr. Shoichet, is additional funds (about $6,000) to enhance its security arrangements. It needs to purchase video cameras and upgrade its security personnel, especially on weekends. For now, it can afford to deploy only retired women as weekend guards; these older women are unable to respond to any attack that might occur. The most likely attackers, responded Mr. Shoichet to a question, are fascists, whom he described as local thugs who are paid by deposed former Ukraine President Viktor Yanukhovich as provocateurs. 40. Rabbi Levi Raices, directs a yeshiva katana that enrolls 32 boys in grades five through 11. Although the yeshiva, which is located in an old synagogue, used to accommodate boys in dormitory rooms, all of the youngsters now live at home. Some of them, said Rabbi Raices, move into the dormitories for Shabbat and other holidays. 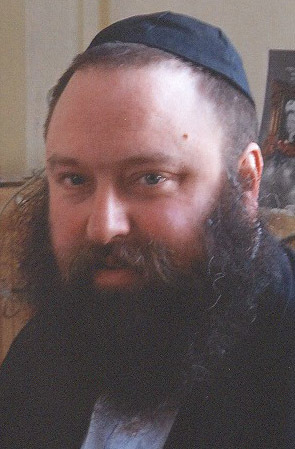 Rabbi Raices stated that the presence of Russian infiltrators and actions of local street thugs connected to Russians have caused great anxiety in the city. Some parents keep their kids at home, including families with boys in the yeshiva. Their biggest worry, he continued, is that the boys will become caught up in street fighting. The situation in the city is the major topic of conversation for both boys and teachers during lunch, Rabbi Raices observed. Although enrollment in the yeshiva is stable now, he expects it to decline for the next academic year (2014-2015), Rabbi Raices said. He knows that some boys are considering the Na'aleh high school in Israel program for next year. Both boys and their parents want the boys to leave Kharkiv and settle elsewhere. Rabbi Levi Raices operates several Chabad programs in Kharkiv, including a yeshiva for schoolboys. He is a New York native. 41. The writer was unable to visit the machon for girls, which enrolled 40 girls in 2012-2013, and is located in classrooms within the choral synagogue. 42. A program called Akademia, which paid the tuition of Jewish girls and young women in local colleges and universities in return for their participation in intensive Jewish learning programs at the synagogue (and assistance in leading children's activities at the synagogue), no longer exists. The program, which had a residential facility for out-of-town students, was suspended due to its expense, stated Pearl Kolnak, its former director. Instead, said Ms. Kolnak, Kharkiv Chabad has a developed an Intensive STARS (Student Torah Alliance for Russian Speakers) program that meets eight hours weekly, instead of five hours that is the norm in regular STARS. The program currently has four participants, all young women who are enrolled in colleges or universities or who have graduated from these institutions very recently. Although the girls reside in their own homes, they move to a synagogue-owned apartment for Shabbat and must attend Shabbat services, in addition to attending some classes during the week. They plan and lead activities for children on Jewish holidays, and attend a leadership seminar in Dnipropetrovsk. The synagogue pays their college/university tuition and also provides personal stipends. The primacy of the synagogue in Intensive STARS generates a close connection with the synagogue, said Ms. Kolnak. A clear priority of the program is to draw participants closer to religious life and a Jewish wedding. 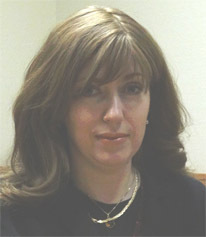 Pearl Kolnak has managed intensive Jewish education pro- grams for young women in Kharkiv for some years. The scope of these programs has diminished lately in response to financial pressure. 43. Lycée Sha’alavim is a struggling Jewish day school started in 1994 and then abandoned in 2009 by the Union of Orthodox Jewish Congregations of America (OU; New York). As a private school, the lycée receives very modest state funding, less than that allocated to public schools (such as School #170). It receives no financial support from the municipality. Further, a major component of OU support had been the assignment of three young adult modern Orthodox Jewish couples from Israel as Jewish studies teachers in the school; when the OU withdrew its support, the Israelis returned to Israel, leaving the lycée without any qualified teachers of Jewish subjects. Yevgeny Persky, who has been principal of the school since its inception, has invested great energy in attempting to maintain it as a competitive institution. He changed its denominational affiliation to Masorti (Conservative), which is more accepting of non-halachic Jewish youngsters as pupils. Enrollment during the 2013-2014 academic year was 118 pupils in grades one through eleven, three fewer youngsters than in the previous year; only one-third of the youngsters are halachically Jewish, said Mr. Persky. Only a minority of school families pay tuition. A separate fee-based (approximately $250 monthly) preschool enrolls another 31 children, only eight of whom are Jewish. Reflecting the minority Jewish enrollment in the preschool, no instruction in Judaism is offered to this age group. In grades one-11, youngsters study Jewish subjects (including Hebrew) 12 class periods each week. Most of the Jewish studies teachers are graduates of Sha'alavim when it was under Orthodox auspices; they have since completed university and have received additional training from the Schechter Institute, the Masorti educational institution in Jerusalem. Mr. Persky spoke with pride of after school clubs in English, mathematics, and other subjects that can keep youngsters occupied until 10:00 p.m., a major boon to parents who work odd hours. The school also offers speech therapy and limited special education. Mr. Persky is seeking additional funds to expand the school into a special needs and rehabilitation education center, offering programs for autistic and vision-impaired youngsters. Sha'alavim is located in a remote part of the city in a building designed originally as a preschool. It needs major updating, Mr. Persky said. Some parents provide in-kind gifts and services, but the need for a major cash infusion is serious. A number of youngsters in the school come from families so impoverished that Sha'alavim must purchase clothing and shoes for them each year. The local hesed provides some fruit and medicines to the lycée, he acknow-ledged. Yevgeny Persky is constantly searching for sponsors to help fund the Sha'alavim Jewish day school in Kharkiv. He should engage a fundraising coordinator, he acknowledged, but he lacks the funds to do so. Others asserted that some police are in hiding because they supported pro-Russian protestors (either genuinely or because they had been suborned) and fear retribution from defenders of Ukrainian sovereignty. One individual denied that crime had increased at all.